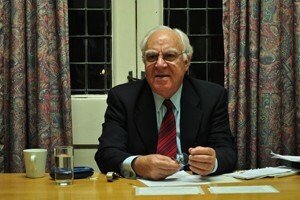 OXFORD, Feb 11 2016 (IPS) - The implementation of the Iranian nuclear deal with the P5+1 (the United States, Russia, China, the United Kingdom, France and Germany) on January 16, which resulted in the lifting of the sanctions imposed on Iran, has split the views of current and former US politicians. Two days later 53 U.S. national security leaders issued a statement welcoming the implementation of the nuclear agreement. The council included some leading foreign policy experts, including former National Security Advisors Brent Scowcroft and Zbigniew Brzezinski; Treasury Secretary Paul O’Neill, and Defense Secretary William Perry; Ambassadors Thomas Pickering, Ryan Crocker and Daniel Kurtzer; military leaders Admiral William Fallon, Admiral Eric Olson and Lieutenant General Frank Kearney; and members of Congress Richard Lugar, Tom Daschle and Lee Hamilton. In their statement, they pointed out that the success of the agreement “had reaffirmed the value of diplomacy as an invaluable tool for conflict resolution.” They added that “new mechanisms for cooperation should be established between the executive and legislative branches to monitor compliance and evaluate suspected violations.” The views of such eminent national security leaders cannot be easily ignored. Coinciding with the Implementation Day, there was a successful prisoner exchange, involving five Americans and seven Iranians. A few days earlier, Iran had released ten US sailors who had “inadvertently drifted” into Iranian waters, in less than 24 hours. A few years ago, these events could not be envisaged and the holding of American sailors could have resulted in intense hostility and even military clashes; with possible disastrous consequences of another war in the Middle East with a country much larger and stronger than Iraq to appreciate what has been achieved by diplomacy at a much smaller cost. Now having established a reliable channel of communication between the two countries, it will be much easier in the future to persuade Iran to help resolve some of the intractable crises in the Middle East, including Iraq, Afghanistan, Yemen, Syria and Libya; as well as the Arab-Israeli conflict. This landmark agreement has shown how diplomacy can succeed when sanctions and military action fail. This provides an example for resolving other major crises in the Middle East and in the rest of the world. If two adversaries that had threatened each other for over 37 years are able to resolve their differences and extend the hand of friendship to each other, there is reason to hope that other complicated issues and crises in the world can also be resolved through persistent efforts, talks in an atmosphere of goodwill. Maybe one can begin to hope that the time of wars is coming to an end; making way for a new chapter in international relations. However, the implementation of the Iranian nuclear agreement has not satisfied the hawks on neither side. On the Iranian side, the hardliners that control the Guardian Council, which vets the credentials of the Majlis (the Iranian parliament) candidates, has disqualified a large number of reformist candidates. The Guardian Council has even rejected the qualifications of Hassan Khomeini, the grandson of the founder of the Islamic revolution, as a candidate for the Assembly of Experts that is in charge of selecting the next Supreme Leader. Hassan Khomeini is regarded a reformist and in the controversial 2009 presidential election that resulted in a second term for President Mahmud Ahmadinejad, Khomeini had supported the Green Movement and the reformist candidates. Many reformists fear that the hardliners wish to prevent President Hassan Rouhani from winning a second term, and in any case they will try to make his job much more difficult by the creation of a confrontational Majlis. Many candidates have appealed those rulings and some of the disqualifications may be reversed. In the United States and Israel, the opposition to the nuclear deal has been strong and continuous. Israeli Prime Minister Benjamin Netanyahu reverted to his refrain about the deal, saying: “This is a very dangerous deal and it threatens all of us.” He appealed to American Jews to oppose the accord. One group of Jewish activists in Pittsburgh even warned that the deal would hasten a “Second Holocaust in Israel”, neglecting to mention that the deal had in fact blocked all the paths to Iran’s acquisition of even a single nuclear weapon, while Israel possesses hundreds of such weapons. It seems that some people prefer to resort to force in resolving international problems, rather than resolving them through talks and negotiations.